I should start this post by saying that I am a huge Derren Brown fan, so I am probably commenting from a biased / rose tinted view but I am certainly trying not to when I share my views on Derren’s latest TV offering Apocalypse. So the reason for this quick post is a few people I know have asked me if I think this show is real, and seen some discussions on forums, and of course recently there has been the claims that the ‘star’ of the show Steven was an actor. So really briefly I am going to give my rational as to why I think what is happening is feasible, of course I don’t know if I am right, and with TV editing who knows. So could this show all be totally fake, could Steven, his family and everyone else who isn’t supposed to be real actually be an actor, of course and most people (myself included) will never really know. However I think its easily feasible that a large percentage of what we are seeing is real. How can he believe there is a meteor storm? – Because there is one, just not something for humans to be worried about. Think about it, our reality is shaped by our beliefs and imagination. Alot of this is reality is provided by the media and what we consider to be trusted and reliable sources. So with these sources providing Steven with this fake information to form a new belief and reality in his mind its totally feasible this becomes a real concern, and possible reality. You can hack someones phone and computer like that! – Of course you can. 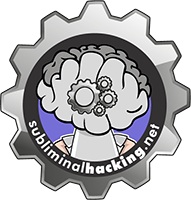 I am not saying it works like you see in the movie SwordFish, but hacking of computers (as we know) is relatively easy and with physical access its pretty much game over. As for his mobile phone, even though mobile exploits are not as well known its still a OS that can be abused. I would imagination that its a combination of cell tower interception and wifi network inception. Both of these can be done with small investment in equipment. Now I am not for a minute saying they are following him around with all this gear, but after following Steven for some time it wouldn’t be hard to setup interception points where Steven is known to use his phone to check the news etc. No one can be hypnotised as quickly as he was on the bus! – Yes you can, there are people that are considered somnambulists that are highly suggestible and would possibly respond to such a rapid induction in this way. However again in this situation context is key. Steven is a fan of Derren Brown and is probably in awe of all he does. He wants to meet Derren and be in one of his shows, or he wouldn’t have signed up. He has met Derren before and been hypnotised by him during the interview and suggestibility process. So when you put all these things in Derren’s favour of course Steven could fall into hypnosis at the tap of a shoulder and the command to ‘sleep’, Derren probably gave a post hypnotic suggestion to return to this state on command, and this suggestions can last days, weeks, months and possibly more. It can’t be real as it would really F**K Him Up! – So I am deffo not an authority on this, but I do know that the subconscious mind holds alot of information, and is very selective with what it shares with the conscious mind, so its totally feasible either by itself or with hypnotic instruction he will be able to only utilise the benefits of this experience and essentially bury the bad. Also we can assume the Channel 4 psychiatrists and legal bods wouldn’t let this go ahead, and lets face it if you sign up to be on a Derren Brown show you expect a little mind muggery 😀 Also at the end of the experience he is going to find out it wasn’t all real, and the purpose of the experience The human body and mind are capable of alot more than we give them credit for. Must be fake because he didn’t do this or that! – Alot of comments that it must be fake because he woke up and didn’t think it was odd to not have drips in after being in the hospital X days, and other bits and bobs. Sure we are all different and react to things differently, and the perspective of a viewer from the outside and someone living it is very different, remember your own hindsight moments. I imagine after waking up from his bus being bombed and hearing the world is in the crapper he wasn’t that bothered about where are my fluid lines. Lastly on this why didn’t he beat the crap out of everyone? Well I dont think there was much to use weapon wise, sure chairs etc but I think the background was he is a lazy sod, not a mad huligan who wants to open a can on everyone, and he was never really challenged or threatened in a place with items handy. So thats my opinion, am I right or am I wrong? Who knows. Sure people alot more knowledgable have different ideas and thats great. Either way enjoy the show for what it is, and if you dont like it turn it off. Personally I am a bigger fan of Derren’s earlier work and his theatre shows, but its good to see how these shows are constructed, and the reaction by the public and the media. In my next blog post we will talk about the Moon and Mars landings ….. only kidding!! 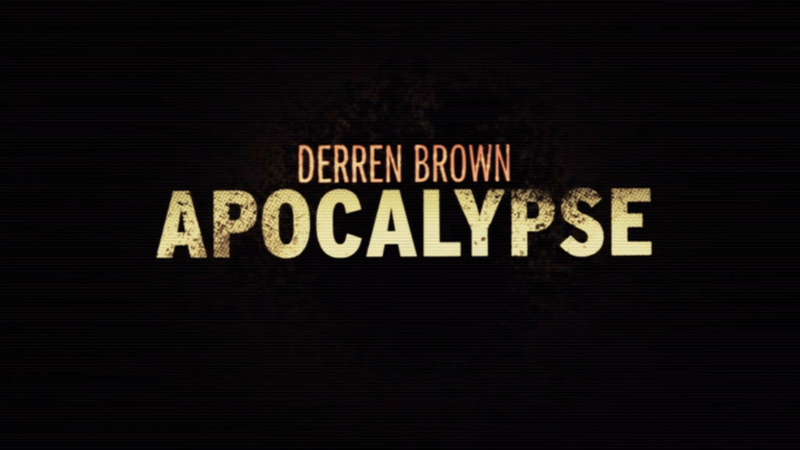 Not sure what I am on about, check out Derren Brown Apocalypse on 4OD now. (UK IP Address Required) Part two available now also. In fact, this was a great TV show for Halloween. – Meteorites that crash and explode with flames? Too much petrol. – Clear sky, calm wind and nature after chaos … looks to me too abnormal. Lazy guy in life = lazy guy during apocalypse. This looks to me too ‘role playing’ to be realistic. My favorite part is TV, Radio, mobile and computer hacking. If you are dumb enough to overlook the obvious circumstantial evidence, like the kid being a wannabe actor doing extra work (which are what 90% of “reality” subjects are), the implausibility of it all (like they would invest 4 weeks and hundreds of thousands in expenses just to find out if he was “right for it”, or just that someone could be without fail, black out hypnotized in the middle of a meteor shower, the legal issues no disclaimer could ever cover, or a number of other things)… then look at the FACTS THAT DON’T LIE! The footage! You can clearly see from different angles and edits camera footage that is not fixed… meaning, it bounces around.. not panning and tilting, but bouncing that happens only on footage from a camera man shooting it. When they cut to different views you see it is impossible for the camera man to be hiding anywhere out of sight. Also, there are times when the subject is not near anyone else and the audio feed can only be explained by the subject being mic’d. If you can’t figure this out and you think this is actually real you are a sucker and I have a bridge to sell you at a really good price. Cheers for taking the time to share you opinion Jimmy, its appreciated. most likely fake. Look at “dallsgoldburg” videos on youtube. Just to start, nothing is real, we have all been fooled. Jimi Hendrix is Morgan Freeman, Walt Disney was Hitler, lady gaga is jon bennet ramsey and amy winehouse, the list goes on and it makes you wonder what is going on, why is it all staged? money plain and simple. The Casey Anthony identity has been blown. She is all part of the Pima county sheriff dept scam. They get big bucks for overtime solving cases that are fake and go on for years and years of overtime. Haha, this was real. The technical part of this was done by my co-conspirator, Ben, check out some bits on our blog (www.pentesticles.com) that may tell you the sorts of things that were done. Needless to say, if you jailbreak a phone and proxy their 3G / Wireless traffic, it’s not hard to do re-writes on the fly to specific apps. Femtocell and base-stations are illegal in the UK outside of registered networks. Ben’s under NDA still but if you tweet him @bdpuk I’m sure he’ll tell you what he can, if you’re interested. You can hide camera’s in buttons, cables, clothing, mic’s are even easier. You can hide HiDef mic’s ten meters away and still sound like you’re next to it. If someone’s having trouble imagining how much money is spent on making television… they’d love to go in the hundreds of thousands of dollars, no problem… This program made tons of money by airing alone, not to mention the DVD’s and sales to other countries. When someone is in a near-traumatic state, he is very susceptable to outside triggers. DB doesn’t just tap you on the shoulder, he misfires basic communication, breaks it down in the middle, leaving the mind puzzled for a splitsecond. When you train and learn how to intervene in that short timespan, it’s childsplay to put someone asleep, or at least hypnagogic. We are “hypnotized” all the time, when we order a limb to move, when someone asks us the fetch a beer, when someone tell’s us dinner’s ready, when we ask a dog to sit, to lay down, to play death we “hypnotize that dog. When we are laughing with something we laugh because an initial communicative message is used in the mind as a “standard”, when someone or something completes every comparison we laugh because our subconscious is relieved. We are conditioned to do what we do and how we do it by our parents, our surroundings, the media, etc… You can not escape this as this is the way our mind operates, through language. Hypnotizing is just onconventional use of language. It’s like we’d all be talking actionscript and suddenly someone just starts to mumble in C, we don’t know what to do, but (C is machine language) or subconscious does. In the same way hypnosis works. Actually, change the given to variable, that way you “hypnotize” yourself to use experience “standards” generated everytime you have to compare, instead of comparing with the cumulative you regard as safe.